When Commodore introduced the clock port with the Amiga 1200 it's sole purposed was for a battery-buffered real-time clock and a 1 MB Chip-Ram extension. Over the years, other manufacturers had discovered this interface for themselves and introduced to the market a series of innovative expansions. These include mainly sound cards, interface cards and USB cards. 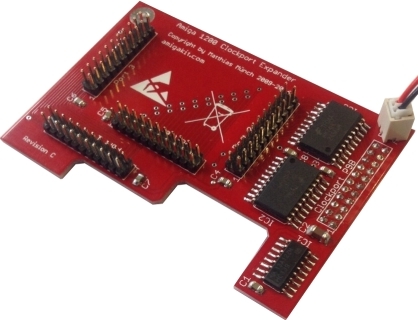 Quickly users wanted to add several of these extensions in their Amiga 1200 computers but this was not possible due to only one clock port header being available. 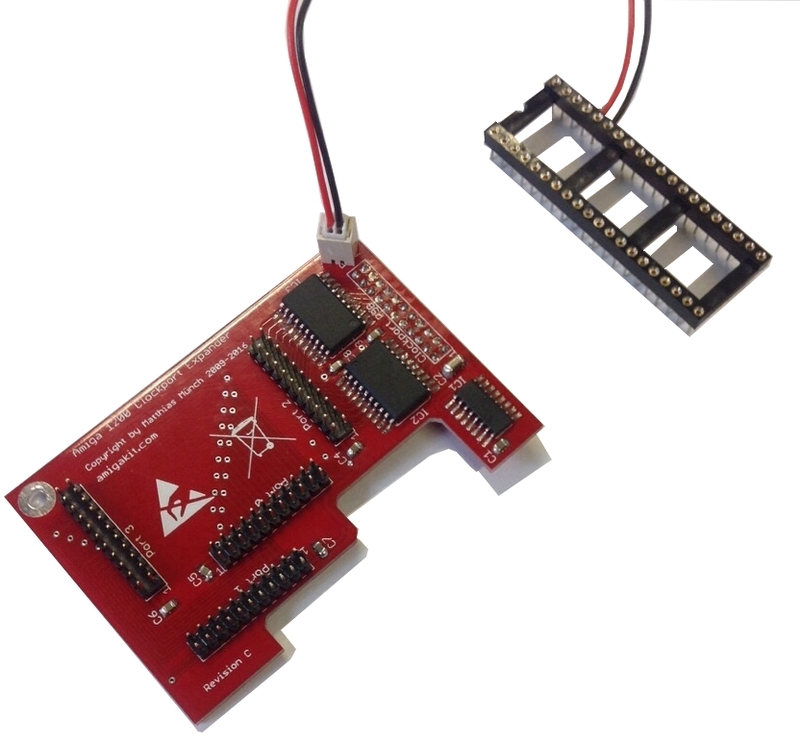 Introducing the world's first buffered clockport expander with 4 separate connections created by Matthias Muench. It is often unnecessary to modify the drivers because many newer extensions already take account of these additional ports. Port 0 is compatible with the original clockport (address $ d80001), while the other ports cover the Zorro-IV board (address $ d84001, $ d88001 and $ d8c001). The design of the Clockport Expander was chosen so that on the one hand it would not collide with any other extension, and on the other hand, existing clock tower extensions could be reused even in the original housing under nearly optimal conditions. 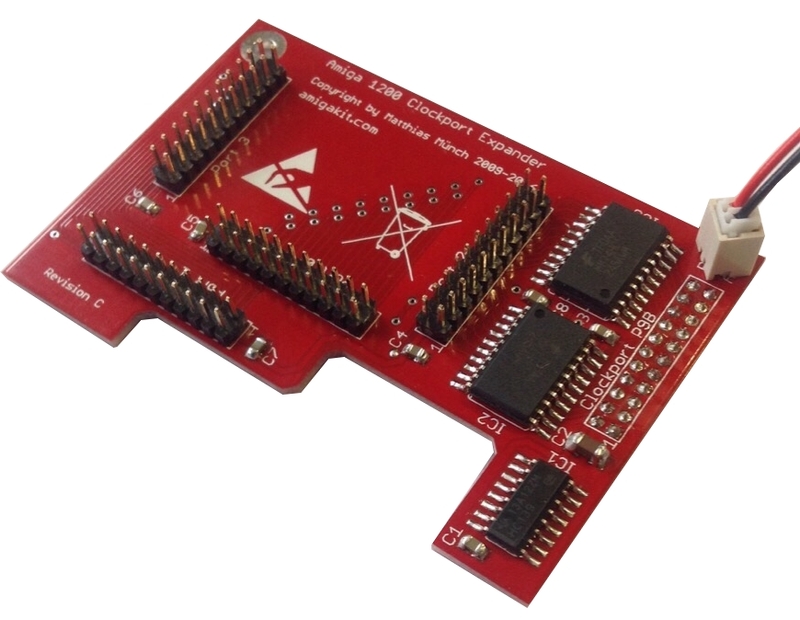 New Revision C, assembled by Amiga Kit Amiga Store. It is important to ensure your Amiga 1200 has sufficient power, space and cooling to accommodate multiple clockport expansions. Your A1200 motherboard requires a 22-pin clockport header on the right hand side of the full clockport area. Most A1200s have this but some rare revisions have the header missing or installed on the left hand side.